I love the YSL black opium perfume, it smells so good. I like how it's kind of unique. I ADORE Black Opium! I totally get why it could either be a love or hate perfume - it's super strong! Still, I love the scent so so much! Haha glad we agree Kris! Great edit! Black Opium is my fave. I was in love with it for a long time! Oh yes I love that one too! Well then it's about time! The D&G one sounds delicious! Your blog is so lovely! The classic black opium is my favourite from these. Such a great scent! It really is such a classic! These look great! I have to try them soon! Would love to try that Black Opium soon. Nice post dear. You totally have to hun! I love reading and writing about perfumes. I am glad you wrote about Chloe Love since I recently found out about it and fell in love with it. I love the scent, need to purchase it! your blog is so super beautiful! Aw Eva you are so sweet! Thank you! Black Opium smells so so so lovely!!! 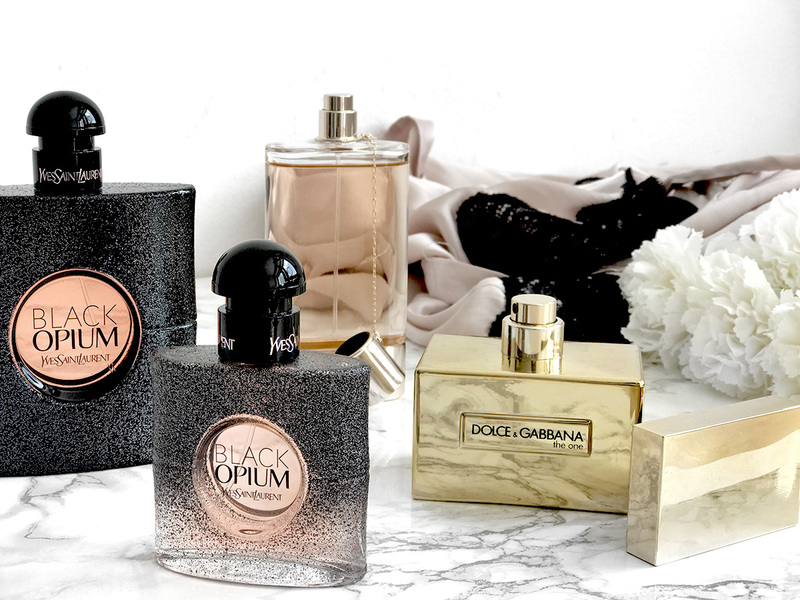 I love D&G perfumes! Really nice post, my dear. Wow babe!! what a beautiful collection!! I love D&G Perfume too!! Oh I never tried this one..